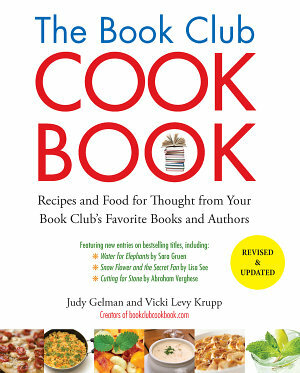 Each title is previewed in an email newsletter sent to 9,000 book club members and featured on BookClubCookbook.com for one week. 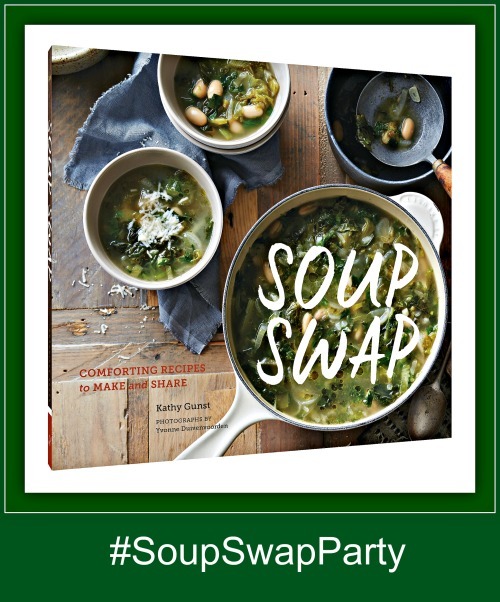 On the selected date, the book is featured on social media, highlighting the author’s book club menu ideas, a giveaway, reviews and book events. Each Book Club Daily promotion includes one complimentary GalleyMatch (see below). Each title is featured in a dedicated email announcement sent to over 9,000 book club members, including a permanent author recipe page, a book giveaway, book jacket and advertisement featured BookClubCookbook.com for one month, and promotion through social media. Each Book Club Buzz promotion includes one complimentary GalleyMatch (see below). Each title is featured in a dedicated email announcement sent to over 9,000 book club members, including a book giveaway, book jacket and advertisement featured on BookClubCookbook.com for one month, and promotion through social media. Each Book Club Buzz promotion includes one complimentary GalleyMatch (see below). Authors are invited to create a recipe page featuring a recipe that a book club might enjoy when discussing their book. Authors may submit a recipe for a food mentioned in the book, a period recipe, or a recipe that they associate with the story and its creation, along with a brief introduction. The recipe does not have to be original; it can come from another source, such as a cookbook or magazine. *A recipe page is included in the Book Club Buzz Deluxe. Authors who have purchased a Book Club Daily promotion receive a $50 discount. GalleyMatch allows publishers the chance to place advance reading copies (or newly released final copies) with book clubs that want to read them. We match galleys with groups from our book club registry based on number of members and their reading preferences. For more information about GalleyMatch, visit our GalleyMatch for Publishers page. The book clubs in our registry average 10-12 members per group, although some are much bigger or smaller. Use this number to calculate the approximate number of book clubs you can match with the number of galleys you have. Please note that rates are per book club, and apply to individual titles. For example, 15 galleys placed with one book club is one GalleyMatch; 15 galleys placed with two book clubs is two GalleyMatches. If you have multiple titles, each title will be billed separately. You receive a 20% discount on Book Club Daily with a GalleyMatch purchase. Display ads are placed on the Home page and main Author Recipe Page of the website. In addition, authors receive a permanent Author Recipe page on bookclubcookbook.com, and have the opportunity to participate in our Guest Author Blog. Contact us for more information on blog parties. Kids’ Reads, a newsletter featuring new and forthcoming kids’ and middle grade books, is emailed to over 2,000 youth book club facilitators and parents. Each title includes age level, genre, a brief description, a note from the author, the book cover linked to the author’s or publisher’s website, a food pairing (optional), author book events, and a book giveaway (5-20 copies). The featured book is promoted on social media and appears on the Home page of our website for one month. Each Kids’ Reads newsletter is posted on our website and permanently archived. YA Reads, a newsletter featuring new and forthcoming young adult and teen books, is emailed to over 2,000 youth book club facilitators and parents. Each title includes age level, genre, a brief description, a note from the author, the book cover linked to the author’s or publisher’s website, a food pairing (optional), author book events, and a book giveaway (5-20 copies). The featured book is promoted on social media and appears on the Home page of our website for one month. Each YA Reads newsletter is posted on our website and permanently archived. Book Blast includes a dedicated Book Blast landing page on BookClubCookbook.com for one month, and promotion through social media. Book clubs love recipes, especially when they’re linked to books. Authors whose books are featured in the Book Blast contest, Kids’ Reads, and YA Reads, are invited to contribute a recipe that a book club might prepare when discussing their book. Authors may submit a recipe for a food mentioned in the book, a period recipe, or a recipe that they associate with the story and its creation, along with a brief introduction. The recipe does not have to be original; it can come another source, such as a cookbook or magazine. The author recipe is posted on the Featured Author Recipes page of our website, with a link to the page on the website’s Home and Contest pages, and in the promotional announcement. Featured Author Recipes remain permanently on the site for readers to enjoy. We reserve the right to review books to determine if they are an appropriate match for our audience.